Help Operation PAL Reach 100,000 Letters!. Why Shop at the EGA Shop? 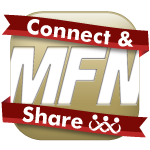 This past week, MarineParents.com's Warrior Support Team attended the Elizabeth Dole Foundation's second annual "Hidden Heroes Coalition" in Washington, D.C. Learn more in our first article. Warrior Support Team: Elizabeth Dole Foundation 2015 "Hidden Heroes Coalition"
On Wednesday, May 20, 2015, MarineParents.com, Inc.'s� Founder and Executive Director Tracy Della Vecchia, along with Development Officer Alex Jessop and Warrior Support Team (WST) Program Administrator Krystl Stroker, attended the Elizabeth Dole Foundation's 2015 "Hidden Heroes Coalition" in Washington, D.C. This year's event marked the one year anniversary of Senator Elizabeth Dole and First Lady Michelle Obama meeting at the White House and joining together in pledging to raise awareness of, and support for, America's "Hidden Heroes" - military caregivers. We learned about and were invited to the event by Melody Slusher, the Elizabeth Dole Foundation's Missouri Fellow, after Melanie met Krystl at the Salem, Missouri VA Day (link to va day page) she recently attended. Krystl and Mrs. Slusher stayed in touch after the event in Salem and, after deciding she liked the mission and goals of the warrior support team (especially in regard to our mentoring program), Mrs. Slusher invited us to Washington. Will you be working at Vacation Bible School or a Summer Camp this Summer? Here is a great activity for your kids to do! Since 2006, Operation PAL supporters have sent 97,324 cards and letters to more than 150 recovering warriors, and it's our goal to cross the 100,000 card and letter threshold by September 1 of this year. If we can average just 750 cards and letters per month, we'll make our goal. 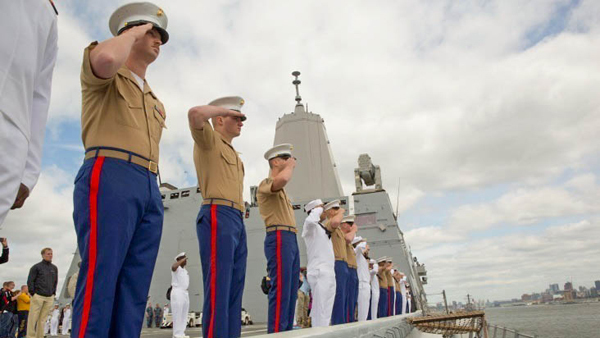 Fleet Week New York 2015, held this year from May 20-26, concluded on Tuesday. This was the 27th consecutive year the event has been held, and is aimed to celebrate the Marine Corps, the Navy, and the Coast Guard, as well as to increase the public's awareness of the work they do while serving our country. Almost 2,000 Marines, Sailors, and Coast Guardsmen took part in this year's festivities, which included ship tours, skills demonstrations, and other events over the course of the week. General John Kelly, head of U.S. Southern Command and one of the Marine Corps' three four-star generals, is also a Gold Star father. 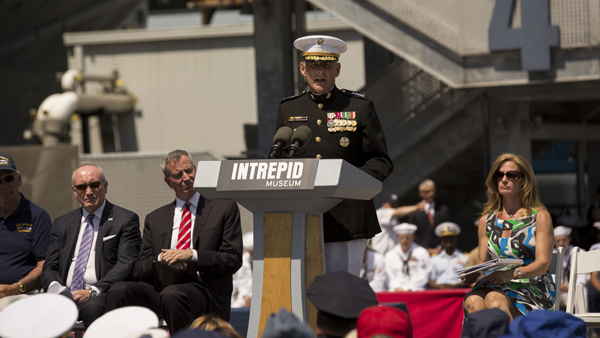 In a poignant Memorial Day speech during the Memorial Day Ceremony at Pier 86 in New York City on Monday, May 25, spoke to the audience about what it's like lose a loved one in war. General Kelly became the highest-ranking U.S. military officer to have lost a child during the War on Terror after his son, Marine 1st Lt. Robert Kelly, was killed Nov. 9, 2010, while conducting combat operations in Sangin, Afghanistan. 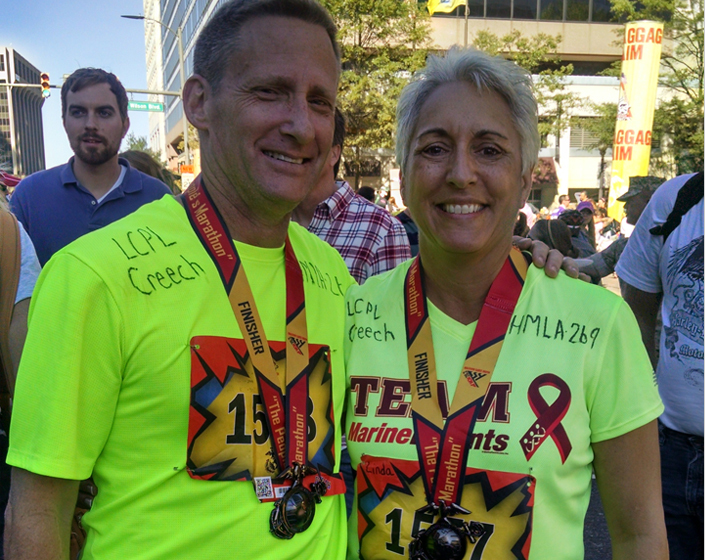 This year will be Team Creech's third year of running for TMP, and the second year they'll be running in the Marine Corps Marathon (MCM), after having an incredible time last year during their first MCM. "After such a great experience running our first [MCM] last year, we knew we had to do it again," Team Creech said, "the pride and emotions we felt the entire 26.2 mile stretch is nothing we can easily describe. The men and women serving our communities and country everyday are the reason we will run again this year." With that sentiment in mind, Team Creech will be raising money for the Warrior Support Team in support of wounded, ill, and injured warriors across the country. At this point, Team Creech is almost 50% of the way to reaching their fundraising goal of $500, and with your support and generosity, we know they can reach that goal in no time! 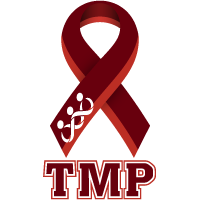 TMP currently has 21 bibs remaining for this year's race. 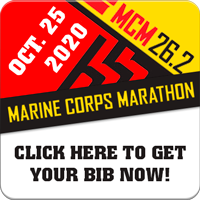 Each bib costs $130 (a $125 registration fee and a $5 processing fee) and runners must pledge to raise at least $500 for a MarineParents.com outreach program of their choice in return for receiving their bib. 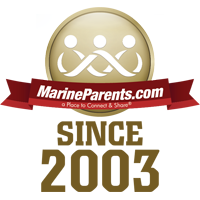 MarineParents.com is a nonprofit corporation with 80% of our income coming from the EGA shop; 93% of our income is program expense. 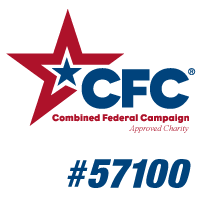 Our outreach programs are extensive and we reach wounded warriors, families of the fallen, active duty Marines, recruit family members and troops reintegrating to civilian life. 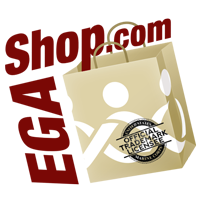 None of what we do would be possible without the sales in our online store. We know firsthand the sacrifices of our military and their family members. 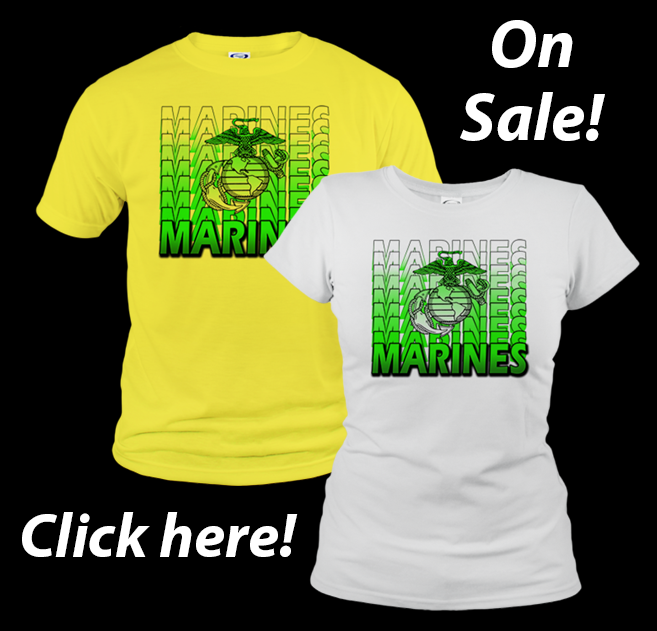 Thank you to all who support the mission of Marine Parents by shopping with us at EGAshop.com. Click here to visit the EGA Shop today!